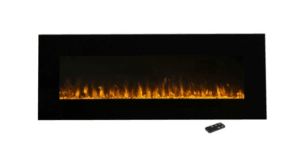 Head on over to Walmart.com to score this Northwest 54 inch Electric Wall Mounted Fireplace for $229! It's regularly $429.99, so this is an incredible price while it lasts. And you get free shipping!